Joe joined the Bunnyfoot team in 2018, taking on his first major role in commercial UX outside of university. Joe’s background is in Psychology and User-Centred Design and has extensive experience in scientific research and experimentation – ranging from topics such as social language processing and binocular cues for stereo vision, to more recent projects focusing on user experience and interaction design. Joe’s main passion project during his later years in academia was the development of new methods of identifying usability problems and generating emotional comments with users by using physiological data as a conversational cue. 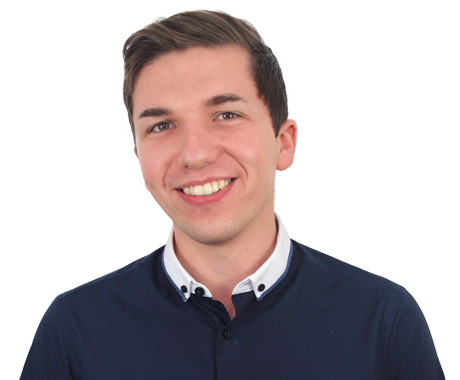 Although at the beginning of his journey in the world of professional UX, Joe is one of the keenest people in the room, and he has a great enthusiasm to get stuck in and learn as much as he can from every situation he is in. When not working, Joe will most likely be found be found in his pyjamas with his gigantic cat, Catthew.